One of two polybags released for the Lord of the Rings line, this is a great lil introduction to the series. You get Frodo in his "Shire outfit," a neat little stove with a frying pan and sausage, a wine bottle, a goblet, and a keg. The alcoholic undertones of this mini-set are pretty excellent. Nowhere on the packaging does it specify what the keg is or what it holds inside, and the "wine bottle" could just be a "bottle." Kids are left to figure out what it all means on their own. 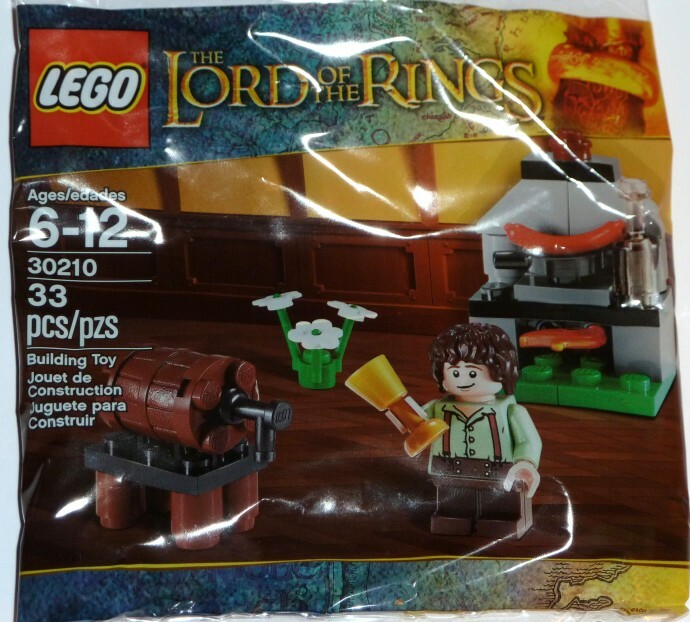 But with hobbits' massive appetite for alcohol, it's fitting that this set includes so much. I'm happy Lego let the set designer get away with it.